The reason I have not installed the new hub is that I have done extensive online reviews of the 2nd-Gen hub and operating system and have yet to find an “upgraded” user or tech reviewer that was satisfied – most were infuriated at the new system. 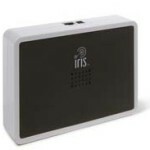 Now, I realize that some people are frustrated by the mechanics of a roll of toilet paper, and play hell resetting their clocks to daylight saving time, but most IRIS users are tech-savvy, or else they wouldn’t have bought the IRIS system to start with. Really, I do not want to hear a bunch of fluff about “enhanced capabilities” and “customer satisfaction” especially since all indications are that 2nd-Gen IRIS has LOST functionality, and customer complaints are being ignored. Let me pose some reasons for this fiasco: (1) money — Lowe’s didn’t want to pay the renewal license fees for the current system. (2) See (1). So, I suggest that Lowe’s pony up the license fee and back off the June 30 deadline until ALL the kinks are ironed-out of 2nd-Gen.